Stephen J. DUBNER: What does it say, Kenji, that there are so many conventional wisdoms about something as basic as cooking food, which we’ve been doing for thousands of years, that are, if not wrong, at least misguided? Isn’t that strange? Kenji LÓPEZ-ALT: It is strange but it’s precisely because we’ve been doing it for so long and because everybody does it. It’s an essential part of everyday life. It’s one of those things that rarely gets a second thought. Today we’re going to give a lot of second thoughts — to what we eat and how we eat it. LÓPEZ-ALT: My name is Kenji López-Alt. I’m the managing culinary director at seriouseats.com and I write about the science of food. Uh-oh. “The science of food.” Doesn’t that sound kind of … unnatural? LÓPEZ-ALT: People think of science as the opposite of tradition, or the opposite of natural. It’s not. Science is just a method, right? It’s a method of thinking about the world and it can be used for many different ends. All right, then! I’m on board — how about you? Would you like to know whether the secret of New York pizza really is the water? LÓPEZ-ALT: What we ended up finding was the water makes almost no difference compared to other variables in the dough. Would you like to know how Freakonomics Radio listeners do things in the kitchen? JANE: If we can pick it up with chopsticks, then that means it’s completely cooked on the inside. And would you like to know the true nutritional value of one of America’s favorite vegetables? Jo ROBINSON: Veterinarians don’t even recommend it as rabbit food. His full name is J. Kenji López-Alt. The J. is for James, his given first name. He’s always gone by Kenji but he didn’t want to totally lose the “James.” “Alt” is his last name; his father is of German descent. His mother is Japanese — that’s where the “Kenji” comes from. And the “López” is the last name of Kenji’s wife; she’s Colombian. When she and Kenji got married, they both became “López “hyphen” Alt.” So: J. Kenji López-Alt has just published a big, beautiful doorstop of a book. LÓPEZ-ALT: It’s almost 1,000 pages, it’s pretty big. LÓPEZ-ALT: I came from a family of scientists. My father is a microbiologist and my grandfather is an organic chemist. I had a very science- and math-heavy childhood. I was one of those kids that would wake up at 6:30 in the morning to go and watch Mr. Wizard on Nickelodeon. Still one of my favorite shows. Honestly, on a conceptual level, everything I learned about basic science all the way through college I learned from that show. DUBNER: Really? You’re not joking? DUBNER: You were way into science as a kid. Were you into food as a kid? LÓPEZ-ALT: No. My family liked eating. But I was one of those kids who hated fish until I was in my early 20s. When I went to college, I had no idea how to cook. DUBNER: What would be a typical family Sunday night meal? LÓPEZ-ALT: My mom is Japanese. She moved to the U.S. when she was a teenager. She did all of the cooking at home, for the most part. My dad would occasionally cook a special meal, when he felt like cooking. He would cook Mexican or Chinese food, and those were always nice nights. But my mom cooked our daily food and it was always a mix between Japanese food and Betty Crocker 1970s staples. A lot of the recipes in The Food Lab nod toward those 70s staples — but are improved upon, through science. DUBNER: I’m about to make an assumption. Tell me if the assumption is right or totally wrong: as a kid, you were science-obsessed. You went to M.I.T. and at the beginning, studied biology. You come from a family of scientists. My assumption is that all of that got baked into you to some degree; this appreciation for, at least familiarity with, the scientific method. Then, when you fell in love with food and cooking, that you naturally parlayed the scientific method into the cooking method. Is that at all true, or not? LÓPEZ-ALT: That’s remarkably accurate. I found, when I was working in restaurants, that I did have this natural curiosity about why things work. LÓPEZ-ALT: The summer after my sophomore year, I decided I wanted to take the rest of the summer off from any kind of academic work because I was getting burned out on biology. I decided to go get a job as a waiter. I walked around Boston trying to find a job as a waiter and nobody wanted to hire me and then, one of the restaurants I walked in to, they said they didn’t have any waiter positions available. But one of their prep cooks didn’t show up that morning and if I could hold the knife, then I could have a job as a cook. I lied and I said, “I know how to use a knife.” I don’t think I’d ever cut anything with a chef’s knife in my life before. LÓPEZ-ALT: From the moment I stepped into the kitchen, I was like, “This is the life for me.” This is great. LÓPEZ-ALT: I switched majors to architecture. I finished with a degree in architecture, structural engineering. But then he spent the next eight years working in a bunch of different Boston restaurants. But as López-Alt writes in The Food Lab, “I discovered that in many cases — even in the best restaurants in the world — the methods that traditional cooking knowledge teaches us are not only outdated but occasionally flat-out wrong.” This was, of course, his science background talking. LÓPEZ-ALT: Why are we cooking it this way? Would it be better to cook it this way? Why are we doing this? That’s something that is actually not very easy to work with when you’re in a restaurant, because it’s such a fast-paced environment you don’t really have time to ask those questions or investigate them or answer them. That was also one of the reasons why I felt this desire to get out of restaurants and go into writing because I thought it would give me more time to actually think about these things and answer these questions that have been building up for so many years. His first writing job was at Cook’s Illustrated magazine. LÓPEZ-ALT: They have a big kitchen in Brookline, Massachusetts. It has 30 ovens, 25 burners. It’s a big test kitchen. That was pretty much perfect for me because they sell magazines by asking questions and spending the money and the time to answer them. LÓPEZ-ALT: The first step is always research. I’ll go look to as many sources I can for the history of the dish, many different recipes to see how different people are making it. Then he starts to reinvent a recipe, or at least rethink it. LÓPEZ-ALT: I try [to] find areas where there might be problems for home cooks or areas where it can be improved in efficiency. LÓPEZ-ALT: There’s a difference between temperature and energy. That’s a concept that a lot of people have a difficult time wrapping their heads around. But the really quick and easy way to demonstrate it is that if you think about a pot of water that’s boiling. The temperature of that water is 212 degrees Fahrenheit, 100 degrees Celsius. If you stick your hand in there, you’re going to burn your hand. At the same time, you can have an oven at 212 degrees Fahrenheit or 100 degrees Celsius. You can stick your hand in there for a minute and you’ll barely feel it. It can feel hot, but you’re not going to burn yourself. The way this could bear itself out in cooking is, for instance, if you’ve been used to cooking your pizzas on a baking stone, which a lot of people have in their ovens. A stone is not particularly dense compared to, let’s say, solid metal. There are now things we call baking steels, which are solid sheets of steel that you heat up in your oven. They transfer energy to your pizza much faster than a stone can, even if they’re at the same temperature. You can have a steel at 450 degrees and a stone at 550 degrees and the pizza that’s placed on the steel will cook faster than the one that’s placed on the stone. DUBNER: Tell me something I don’t know about the geometry of food. You refer to that a few times in your book. Why is that important? How should I think about it differently? LÓPEZ-ALT: The geometry of food is important because one of the big things is surface area to volume ratio. LÓPEZ-ALT: I like to think about it this way: if you’re looking at the edge of a piece of General Tso’s chicken, and say you’re looking at it from about two feet away. You try and trace the outline of that General Tso’s chicken and you say, “All right, the perimeter of that piece of chicken is two inches.” Then you look at it a little bit closer. “You know what? I was just tracing a very rough outline. If I actually go in and fill in these little crags, now it’s more like two-and-a-quarter inches.” If you look even closer, you’ll see that it’s more like two-and-a-half inches. This is a phenomenon that geologists see with coastlines: the further away you are, the smoother they seem and the shorter they are. It’s important, because with a food like fried chicken, you want it to be really crisp. The more surface area you have, the more nooks and crannies you have, the crisper it’s going to feel in your mouth, the better sauce is going to cling to it. All those things. Crispy foods, you want them to be really craggly and have a very high surface area to volume ratio. DUBNER: Is there any instance — I’m sure there are — where more surface area is not better? LÓPEZ-ALT: Yeah! If you want to say cook a prime rib roast or even a tenderloin steak, you want it to be as compact — either as spherical or cylindrical shape — as possible because that minimizes surface area to volume ratio. That’s important because — for things like that —the more surface area you have, the more it’s going to dry out while it’s cooking. The more surface for moisture to escape from, the less evenly it’s going to cook. That’s why — if you’re cooking a tenderloin steak or you’re roasting a whole tenderloin or prime rib — you generally want to tie it up a little bit so it retains that nice cylindrical shape. It’s about more than aesthetics. It reduces the surface area and thus helps it retain juices and cook more evenly, better. The underlying component of the Food Lab methodology is the same underlying component of most bench science: experimentation. LÓPEZ-ALT: For something like General Tso’s, for example, my big goal from the very beginning was to get the chicken as crusty and craggly as possible; to make sure it developed a crust that would stay crispy even after you tossed it in this gloopy sauce. My testing for that recipe was with various types of breading and frying methods to enhance that crispness. DUBNER: Can you name a few of each? The breading and methods? LÓPEZ-ALT: All right, if you want to start with basics: I tried dipping it in cornstarch. I tried dipping it in a cornstarch slurry followed by dried cornstarch. I tried using various mixes of cornstarch and wheat flour. I tried potato starch. I tried tapioca starch. I tried doing a southern style, like brining the chicken in Asian flavors with a little bit of buttermilk to tenderize it. I tried using eggs versus no eggs. Many different things like that. The final recipe I ended up with uses some vodka in the batter. DUBNER: You’re fond of vodka for battering, yes? LÓPEZ-ALT: I am. I use it in a few different things. Usually you use it when you want to develop crispness but also maintain the lightness because vodka will help moisten a batter or a dough. But it doesn’t develop gluten the way that water does, so it stays nice and light and doesn’t get tough. The other thing that vodka does is it evaporates much faster than water does. It’s more volatile than water, so when you put food that’s been dipped into a batter made with vodka into hot oil, that vodka really violently bubbles away very quickly. That lightens up the coating and it makes it much crisper. DUBNER: Gotcha. Which of those coatings ended up winning? LÓPEZ-ALT: I believe I did a mixture of vodka, corn starch and a little bit of wheat flour along with some soy sauce. Then, the chicken gets dipped in that wet batter and then tossed in a dry starch mixture. DUBNER: I’m curious how rigorous your experiments are. Would they pass muster in a science lab, for instance? LÓPEZ-ALT: Sometimes. If there’s a deep question about cooking that people are very conflicted on, then I will actually do a really well-controlled experiment. Double-blind. For example, one of the ones I did a number of years ago was to answer the question whether New York pizza is really good because of the water. 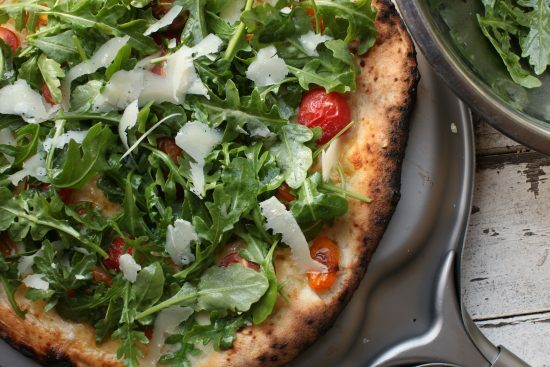 LÓPEZ-ALT: People say it is and people use it as an excuse for why they can’t make good pizza outside of New York. For that one, actually I did a full double-blind experiment starting with perfectly distilled water and up to various levels of dissolved solids inside the water. DUBNER: New York has a high level, I assume, of dissolved solids? LÓPEZ-ALT: Not the highest, but pretty high. I had six different water samples, ranging from very high to nothing. I put them into numbered bottles and then I had an assistant — my wife — rearrange the numbers on the bottles.Then I passed the bottles onto a pizza chef in New York. I didn’t know what was in the numbered bottles. He didn’t know what was in the numbered bottles. I also doubled a couple of them up as a control to make sure that our testing panel was on point. Then I had a bunch of people — a mix of amateurs and also professional food writers — come and taste the pizzas blind. What we ended up finding was the water makes almost no difference compared to other variables in the dough. It’s a silly premise. But it was [a] rigorously controlled test. DUBNER: As someone who lives in New York and eats pizza, I don’t think it’s a silly premise at all. I think that’s exactly what science is for. DUBNER: It strikes me that everything we’re talking about so far is geared toward cooking for taste. Which makes perfect sense, because eating is incredibly pleasurable, in addition to being necessary. But then there’s a school of thought, small but growing, that says that one reason we’ve gotten into such nutritional trouble is because we have had the luxury to eat for taste and that we stopped eating for nutrition. I’m curious what your thoughts are there, because your book is unapologetically about deliciousness. When you write about making these super-creamy, cheesy au gratin potatoes, it’s full monty. It’s as much cream as we can, as much butter as we can. I love your celebration of that. On the other hand, you are doing this in an era when there’s a lot more focus on nutrition. I’m curious how you balance that? LÓPEZ-ALT: I’m one of these people who really thinks that it’s all about moderation. From the way my book is written, you might think that I eat steak and potatoes every night, but the reality is actually far from that. If I’m going to eat a hamburger, I want it to be the best damn hamburger I can make, right? That’s where this idea that like I’m going to try to perfect these foods, these comfort classics that people love, that you shouldn’t necessarily eat every day. But when you make them, you want them to be really great. On a day to day basis, my wife and I stay mostly vegetarian. We eat a lot of fish, a lot of seafood. We both exercise. Food can be delicious, but it should also be sustaining at the end. Your health is not worth that extra serving of burgers or extra serving of creamy potato casserole. ROBINSON: What happened is all of these great food cultures of the countries that we came from got lost when we came here. LÓPEZ-ALT: If you use vodka in place of some of the water in your pie crust, it doesn’t make the pie boozy, but you end up with a dough that is much flakier and much lighter. JANE: Hi name is Jane, I’m 25 years old. I currently live in New York but I grew up in Taiwan. 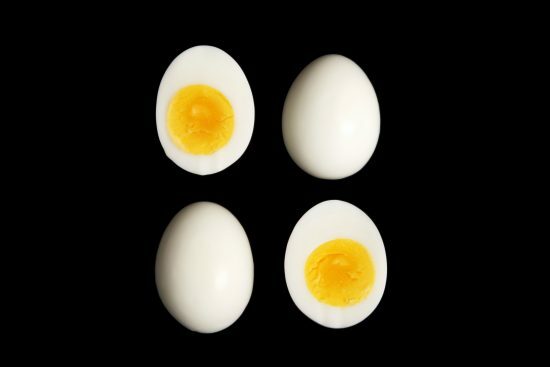 A culinary trick I learned growing up is that, when boiling an egg, you can tell whether it’s fully cooked by trying to pick it up with chopsticks. JOEL: Hi, my name is Joel from Melbourne, Australia. I’ve been told by my mom [that], when preparing cucumbers, to cut off both ends and to rub it on the previously cut part. It will somehow remove the bitterness. TIFFANY: Hi, this is Tiffany in Cupertino, California. My baking tip is that — contrary to what Martha Stewart always said — you do not need to mix your salt and your baking soda into your flour in a separate bowl before you add it to the rest of your batter. DAVID: This is David Lyons out of Denver, Colorado. The culinary secret I learned from my wife, who is Korean, is to always soak rice before you cook it. Once you start doing this way, there is no going back. Not much is known about when humans began to cook food — although cooking is widely thought to have started long before agriculture. The earliest archaeological evidence of humans’ controlling fire — and possibly cooking — dates to roughly a million years ago. But the Harvard anthropologist Richard Wrangham argues that it started nearly a million years before that. He also argues that cooking is what made us human — that it allowed our prehistoric ancestors to spend less time and energy chewing raw foods; and that that energy could be directed toward growing the human brain. But that’s not the only reason to appreciate cooking. It releases nutrients in raw foods and often makes them more potent and easier to digest. ROBINSON: There’s some foods — kale and broccoli are two of them — that we absorb more of their cancer-fighting ingredients if we eat them raw. But most fruits and vegetables benefit from light cooking, either a sauté maybe in olive oil at low temperature or lightly steamed — less cooked than most people cook them — but the light steaming or gentle sauté breaks down cell walls, which makes more of the nutrients available to us. ROBINSON: My name is Jo Robinson and I’m an investigative journalist. ROBINSON: It came down to this amazing grandmother that I had, who had a sense about food and wholesomeness, like in 1910. She and a group of women were critical of the Agricultural Department for saying that we should be eating white bread instead of whole-wheat bread. The food science of the time,was that all of that fiber and the bran and the germ were roughage that we couldn’t digest well, so it wasn’t good for us. This group also lobbied that Coca-Cola should not be sold. ROBINSON: More than other kids, we had whole grain. We ate nuts, seeds, brewer’s yeast, lots of fruits and vegetables. I grew up with that as being normal. As a kid, growing up Washington state — partly in Tacoma and partly in the Puget Sound wilderness — Jo Robinson would sometimes spend her allowance on Wonder Bread so she wasn’t the only one in school with a sandwich on homemade wheat bread. As an adult, she tries to sort out nutritional myths from reality. ROBINSON: My job is to go into the scientific journals, find what is important for human health, and repackage it in a way that people can understand its importance, and then find, what am I going to pick in this grocery store? What am I going to pick in this farmer’s market? It takes someone like myself to translate science into action steps. Robinson’s latest book is called Eating on the Wild Side. It’s fascinating. Almost every page tells you something you don’t know about food, especially fruits and veg and herbs. And a lot of it goes back to that split between delicious and nutritious. ROBINSON: We humans are programmed, and have always been programmed, to prefer food that is high in carbohydrates, starches and sugar, and oil. Because those kinds of nutrients were very poor in the wilderness. We had to be motivated with these feel-good brain chemicals to go out and get them. Over time, we just kept picking sweeter, fatter, richer, softer, less fibrous food. Never knowing what we’re doing. And it is only — only now do we have the technology and the slowly accumulating wisdom to know how we should transform our food supply to make it optimum for human health. In Robinson’s view, America has been guiltier than others. ROBINSON: I don’t think Americans are stupid when it comes to food, nutrition and health. But what happened is all of these great food cultures of the countries that we came from got lost when we came here. Everything became homogenized. Then we became leaders in industrial agriculture, which has nothing to do with nutrition. It has to do with volume and with flavor. The vast majority of food crops in this country, we’re growing them because they’re highly productive or disease-resistant. Those are the two criteria that farmers use and agricultural schools use to determine what varieties we’re going to eat. They’re not looking at food value. Other countries, throughout the world, tend to have more nutritious diets than we do. Then, we started breeding out all signs of bitterness. Consider, for instance, one of the most popular vegetables in America. Iceberg lettuce (Photo Credit: Muffet / Visualhunt.com). ROBINSON: Overwhelmingly, people in this country eat iceberg lettuce. ROBINSON: It’s a very productive lettuce, many tons of lettuce per acre. It’s also a very mild-tasting lettuce. As a culture, we are pretty bitter-adverse. We like that iceberg lettuce [has] a watery crunch and doesn’t have a lot of flavor. It’s everywhere. Okay, so maybe iceberg isn’t one of those classy salad greens — arugula or mizuna or even just a romaine. But hey, it’s still a vegetable, right? Which means it’s still got a lot of nutritional value, right? 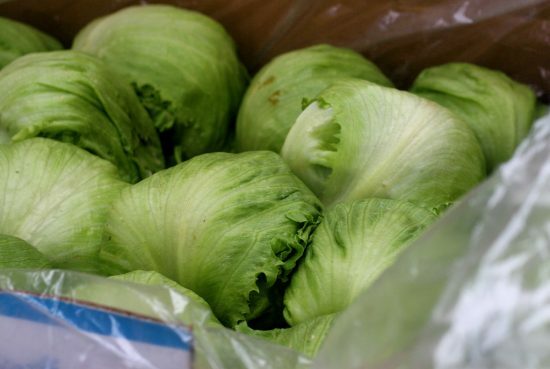 ROBINSON: Iceberg lettuce has fewer nutrients than any other lettuce in the store. In fact, veterinarians don’t even recommend it as rabbit food because there’s not enough nutrients to support the health of rabbits. ROBINSON: I began to compare the food that we’re eating today with the wild diet that sustained us for about 98% of our evolution. It was so very clear that over time we have greatly diminished the nutrient content of our animal products and everything that we grow. ROBINSON: But that’s certainly not true. Because the fruits and vegetables that most people pick in this country — and that includes things like melons, white sweet corn, white potatoes, bananas, iceberg lettuce — they’re at the bottom of the totem pole when it comes to food values. ROBINSON: We need to find out what science is telling us about the best varieties of fruits and vegetables to eat. This is complicated science and it’s not widely adapted at this time. You’re not going to find the U.S.D.A. saying, “Eat more of the cabbage family because it has glucosinolates in it,” which are cancer-fighting organisms. We really need to go outside of mainstream nutrition and agriculture to find what’s best for our health. That’s the mission Jo Robinson is on. She advocates seeking out the less-sweet, less-homogenized version of whatever you’re already eating. ROBINSON: The best thing you can be eating in terms of true lettuces would be a red-leaf or dark green-leaf lettuce, with red-leaf lettuce far superior to the others. ROBINSON: There’s nothing better for our health than wild berries. Wild berries tend to have from 2 – 10x more health-enhancing phytonutrients than our domesticated varieties. And it’s not just choosing the better varieties of the foods we eat. It’s when we eat them. Eat me now because … why? ROBINSON: When plants are harvested, we think that they’re dead. They’re not. They’re actually living until we eat them or cook them. All the time they’re alive, they’re burning up their own antioxidants to protect the fact that they’re still inhaling oxygen. But they’re not producing more antioxidants because you can’t do that once you’re harvested. You need to eat them the day you buy them or the next day, ideally. These are some of the things that you want to ‘eat me now’: spinach, asparagus, broccoli, artichokes, kale, green onions, mushrooms, parsley and cherries. If you do that, you [get] two, three, five, ten times more antioxidant than if you push them to the back of the refrigerator and find them a week or two later. ROBINSON: It’s difficult to find science to support the idea that we’re healthier eating raw produce than lightly cooked produce. Where does the raw-food idea come from? ROBINSON: One of the claims is that if you cook things you destroy plant enzymes. That’s true. The thinking is we need these plant enzymes in order to digest our food. They’re going to make us healthier. But plant enzymes are not created for our health. They’re for the plant’s health. 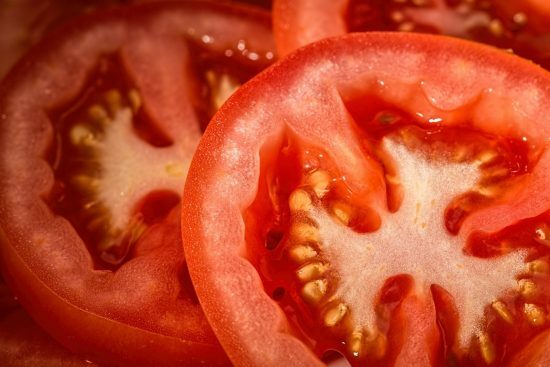 Tomatoes (Photo Credit: Visual Hunt). And what about canned vegetables? They must be less nutritious than fresh, right? In most cases, yes. ROBINSON: Canned tomatoes are actually better for us than a fresh, organic, locally harvested, heirloom tomato. The nutrient in tomatoes, which is proving to be supportive of heart health, is called lycopene. When lycopene is heated, it is transformed into a form that we find easier to absorb. The best source of lycopene in the entire store is tomato paste. People don’t like to hear that. “How could that be?” But science supports it. In scouring the scientific literature on what we eat and how we prepare it, Jo Robinson has come up with her own list of kitchen tricks. Now, unlike Kenji López-Alt’s work, which is meant to optimize taste, hers is meant to optimize nutrition. Garlic, for instance. A lot of us cook with garlic for flavor but also because of its reported healing properties. But, heat can destroy those properties. There is, however, a simple trick to prevent this: after crushing or chopping the garlic, let it sit for at least 10 minutes before cooking it. That allows its health-promoting compound, allicin, to form. As for the best way to cook most vegetables if you want to optimize their nutrition? ROBINSON: Many people are surprised to hear that steaming vegetables in the microwave is probably the best way to preserve nutrients. you want to cook the food for as short amount a time as possible. So the microwave will do that for you. And so you just put it in a microwave steamer and cook it for just a couple of minutes and it’s done. LÓPEZ-ALT: If you’re happy with the way you’re cooking and you’re happy with the food, there’s no real need to change it. LÓPEZ-ALT: But if you could make your food more efficient[ly] or taste better by doing something a little bit different; and someone else is willing to go out and do the work to figure out what that different thing is, then I don’t see a reason why you wouldn’t want to change it. So in this regard, López-Alt and Jo Robinson are in precisely the same camp: using science to improve what we eat and how we eat it — wherever you fall on the spectrum of delicious versus nutritious. Presumably we’re all looking for some sane balance of the two. If you think about it, food is probably the single most important input that we control in terms of helping our bodies and minds function. So of course we should try to optimize its contribution to that end. On the other hand … life is short. And eating is a delight. LÓPEZ-ALT: I have a very deliciousness-first approach to it. If I’m going to eat a hamburger, I want it to be the best damn hamburger I can make. 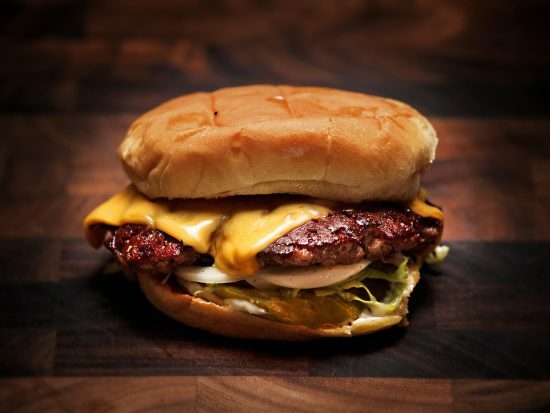 Okay, so how does Kenji López-Alt make the best damn hamburger? Well, he’s actually got a variety of burger recipes in his book — but the recipe, as with anything, is the easy part. The hard part is getting the science right. In this case, it begins with the salt. LÓPEZ-ALT: that would throw hamburgers at the wall at 45 miles per hour. LÓPEZ-ALT: We tried it with two identical patties, one of them salted on the inside, one salted only on the outside. We shot the whole thing in slow motion, the burger hitting the wall. LÓPEZ-ALT: And you’ll see that salted hamburger kind of bounces off the wall like a rubber ball. It cracks a little bit, but it basically just bounces off. LÓPEZ-ALT: Whereas the burger that has salt only on the outside kind of splatters. You can very easily taste it in your mouth. A burger made with salted meat will be tough and one made with salt only on the outside will be tender and juicy, which is the way I want my burger to be. DUBNER: I really want your job, I have to say. LÓPEZ-ALT: It’s a pretty great job. We’ll be back next week with a new episode of Freakonomics Radio. Until then, thanks for listening. Freakonomics Radio is produced by WNYC Studios and Dubner Productions. Today’s episode was produced by Arwa Gunja with help from Matt Fidler and Sam Blair. Our staff also includes Shelley Lewis, Stephanie Tam, Christopher Werth, Merritt Jacob, Greg Rosalsky, Eliza Lambert, Alison Hockenberry, Emma Morgenstern, Harry Huggins, and Brian Gutierrez. You can subscribe to Freakonomics Radio on Apple Podcasts, Stitcher, or wherever you get your podcasts. The Food Lab: Better Home Cooking Through Science by J. Kenji López-Alt (Norton 2015). Eating on the Wild Side by Jo Robinson (Little Brown 2014). Catching Fire: How Cooking Made Us Human by Richard Wrangham (Basic Books 2009). “Evidence of Early Use of Fire Found in South Africa Cave” by Rhitu Chatterjee, PRI’s The World (April 2012). “Effects of Apple Consumption on Lipid Profile of Hyperlipidemic and Overweight Men” by Mohammad Reza Vafa, Elham Haghighatjoo, Farzad Shidfar, Shirin Afshari, Mahmood Reza Gohari and Amir Ziaee (International Journal of Preventive Medicine April-June 2011). Watch J. Kenji López-Alt and journalist Katie Quinn put the scientific principles behind his cooking to the test. Watch Mr. Wizard’s electrocute a hot dog. Watch Mr. Wizard’s Supermarket Science – The Remarkable Corn Starch. Watch Mr. Wizard’s Banana Prank.